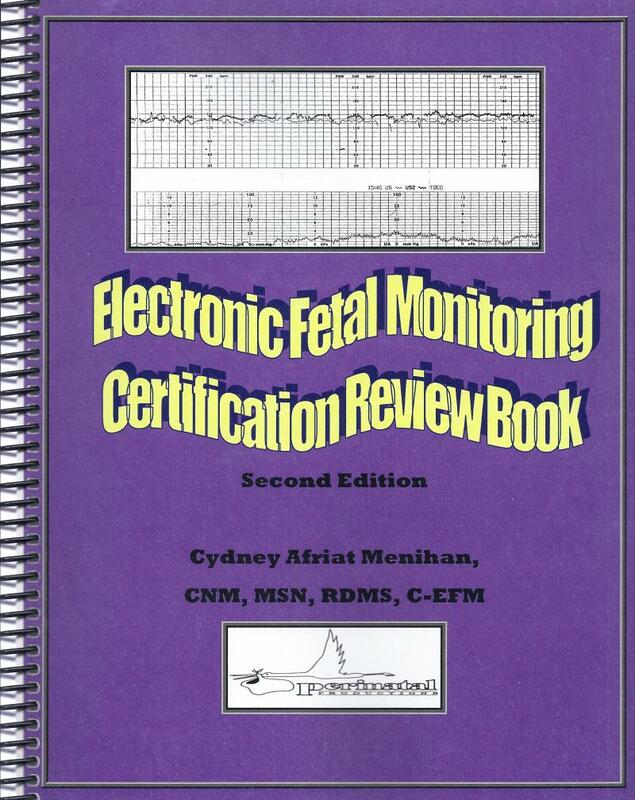 This is a spiral bound workbook intended to be used by individuals or study groups in preparation for the certification exam in electronic fetal monitoring. The design is outline style with key concepts highlighted. Each chapter ends with study questions along with actual EFM strip charts for practice. It is considered an adjunct to be used with other textbooks or study materials. It may not be sufficient as a solo study method for this exam, particularly for novice learners. Maternal/Fetal Physiology and Blood Flow. TO ORDER: $55.00 on amazon.com. For bulk orders >25, please contacct perinatalproductions@yahoo.com. Thank you. PREPARE FOR YOUR EFM CERTIFICATION EXAM WITH THIS SELF-PACED STUDY IN FETAL MONITORING. THE BOOK IS UPDATED AS GUIDELINES AND RESEARCH CHANGE, SO IT IS CONSTANTLY EVOLVING. IT CONTAINS PRACTICE TESTS AT THE END OF EACH CHAPTER. FOR MORE INFORMATION OR TO PURCHASE, PLEASE VISIT AMAZON.COM. Copyright 2019 Perinatal Productions. All rights reserved.